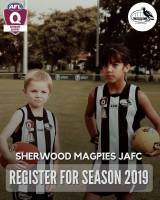 We are looking to field under 13, under 15 and under 17 youth girls teams at the Sherwood Magpies in 2015. BIGGEST CLUB IN THE WESTERN SUBURBS! ARE YOU A FACEBOOK PRO? 2015 REGISTRATIONS - NOW OPEN ONLINE! Ready for an excellent car buying experience?